With over twenty years of experience helping companies and financial executives with their employment and staffing needs, we have established a global network of relationships with individuals and companies engaged in International Finance. We provide services to leading companies like Citibank, Bank of Boston, Chase Manhattan, ABN Amro, Deutsche Bank and Swiss Bank, as well as a number of international companies such as Cargill, J.I. Case and Black and Veatch. We provide our clients with qualified professionals who have experience in: forfaiting, bundling and securitization, trade services, international operations, product development, information technology, electronic commerce applications and correspondent banking. We have placed numerous trade finance bankers who have experience in the programs of the Export Import Bank of the United States, export credit programs and agencies of member countries to the OECD, The Overseas Private Investment Corporation (OPIC), multilateral development banks, the World Bank Group, secured trade as well as structured finance. We provide our clients with qualified professionals who have experience in LDC debt finance programs, participations, arbitrage, local money market trading, debt origination and distribution as well as treasury and liability management. We provide our clients with qualified professionals whose resumes have included experience in bankruptcy investing, high yield bonds, and mezzanine finance. · Fixed Income-Municipal bonds, Eurobonds, bonds both public and private, and money market products. · Equities-common stocks, preferred stocks and convertibles. · Derivative Products-options, swaps, swaptions and captions. · Foreign Exchange - Changes in the foreign exchange area continue with the use of new instruments and trading methods by the market place. In an effort to offer assistance to clients with these challenges, we have developed an experienced listing of foreign exchange professionals. Project and non-resource financing around the world is expected to rise over the next 20 years. 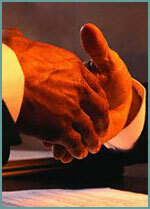 Flores Financial Services has met the personal needs of financial institutions engaged in global project finance. Our database has a special feature devoted to the special characteristics of individuals with project finance experience within corporations and financial institutions. Flores Financial Services has advised banks and Corporations on their staffing needs during downsizing, mergers and acquisitions or expansion, as well as addressing issues such as: identifying personnel that meet the new staffing requirements or developing an entire new team for placement within a specific area of the bank or Corporation.